It?s amazing how you don?t realise what you?ve got until it?s gone. But if you are encountering the onset of aging in the form of thinning hair and bald spots, you can get back your hair through Fierce Hair Growth. 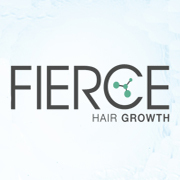 Fierce Hair Growth will treat your scalp with Growth Factors - proteins that renew and regrow cells in your body. Our specialists will inject these Growth Factors into your scalp through micro-needling. Don?t worry because this is a painless procedure. You?ll feel as if you?re being given a scalp massage. Please call us on our 1300 343 723 number to schedule your free assessment at our Gepps Cross branch today.